Just when I had again a few empty centimetres in my working space, Dirk Koorn surprised me with another huge bag of goodies. I am happy that he asked me to return half of the stuff after consummation, but for the time being my desk is a joyful mess again. 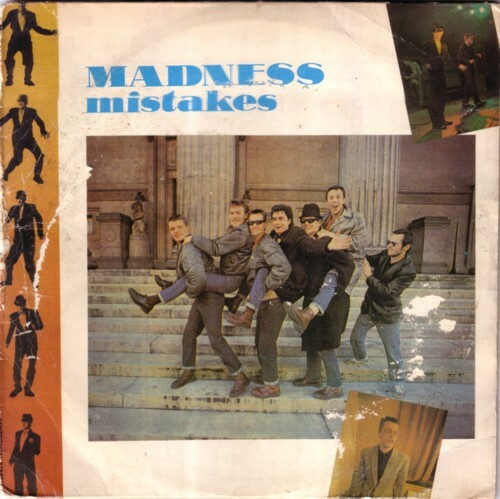 Among the vinyl in the bag is a double LP by Madness, called ”Mistakes” . It is the recording of a concert that the band gave at the Paradise ballroom in Boston, in 1980. A bootleg! The vinyl is in bad shape. It might be an attempt to create some vinyl art, but I think that some drunk tried to carve short cuts to his favourite songs. Maybe it was one of the idiots in the audience, who can be heard on the record in between every two songs, shouting ”Rude boys, rude boys!” . I always hated it when people in the audience began trying to messing with the play list of a band, but as far as I know Madness never recorded a song called ”Rude boys” ; that were The Specials. 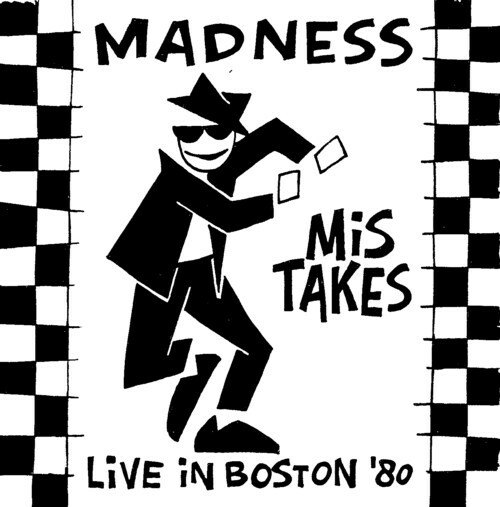 It was not an exceptional good concert that night in 1980 in Boston, and Madness didn’t play songs that are not on their regular records. But still it is worth listening to this bootleg. Apart from their first two or thee hits I never was a big fan of the music of Madness. Only much later I began to appreciate their records better. You can hear that they were a close band and they have always seem a bunch of nice guys to me. While listening I recorded it on a CDr, of course. The chance of ever coming across this record again is small.